With more scrutiny on your finances — whether you’re buying a home or refinancing one — you don’t want to make any needless mistakes to wreck your FICO credit score. Misconception 1: Paying late didn’t hurt my credit since I’m caught up now. Johansson emphasizes the importance of paying all your bills on time, every time. However, he says that if you must pay late and want to avoid damage to your score, pay the accounts that report to credit bureaus first. You can find this information by getting a copy of your credit report. For example, credit reporting agencies say their records are updated “routinely,” but this does not mean instantly. It may take one to three weeks for your credit card company to report a payment or paid balance to the credit agencies, then more time for the agency’s reports to reflect the update. This is where your own credit report and the dates indicated can tell you which of your credit cards companies are more prompt in reporting and which ones may take a few more days. Misconception 2: Dollar amounts matter in credit scores. An example of bad credit score advice here is “pay the highest bill first,” Johansson says. “Dollar amounts don’t matter in FICO scoring; ratios and recency do. The effect on your score is the same for a $1 late payment as a $1,000 late payment. The fewer late payments on your credit report, the higher your score—regardless of their dollar amounts,” he explains. Another way to increase your score is to have a high credit limit but low balance. It signals that you are credit worthy and have paid your bills. 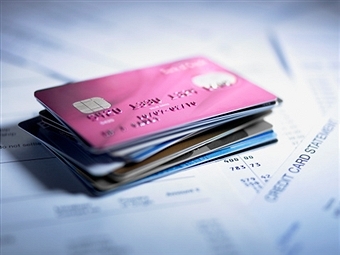 Call your credit card companies to increase the credit limit as high as possible but just don’t use the credit and pay down the balance so that it’s about half of the credit limit or lower. Misconception 3: Closing credit card accounts helps your score.